Main Event - Flyweight Title Fight - Maikel Perez (7-1) finished Sid Bice (8-2) to win via TKO (referee stoppage/strikes) at 4:14 in round two. Welterweight Fight - Jordan Larson (9-4) submitted Darrius Flowers (3-2-1) with an arm triangle at 2:50 in round three. 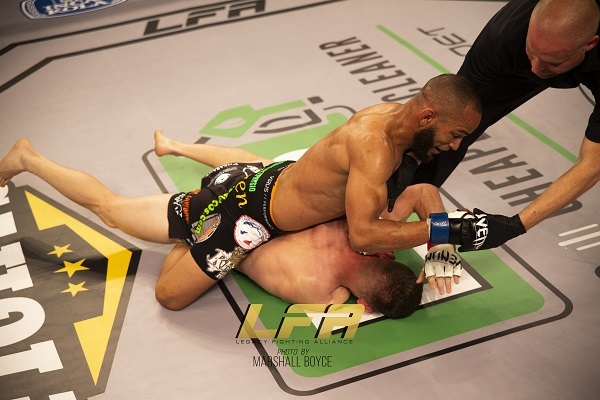 Lightweight Fight - Bryce Logan (9-2) outscored Dakota Bush (4-1) to win by unanimous decision (30-27, 30-27, 30-27). Lightweight Fight - Demarques Jackson (8-2) knocked out Hamilton Ash (7-4, 1 NC) at 1:48 in round one. Welterweight Fight - Tyler Ray (2-1) defeated Theron Martin (1-1) via unanimous decision (30-27, 30-27, 30-27).